From the banks of the Orange to the first glimpse of red dunes, these four routes from Vioolsdrift to Sossusvlei trace languid rivers, skirt mighty chasms and cut lonely tracks across boundless planes. 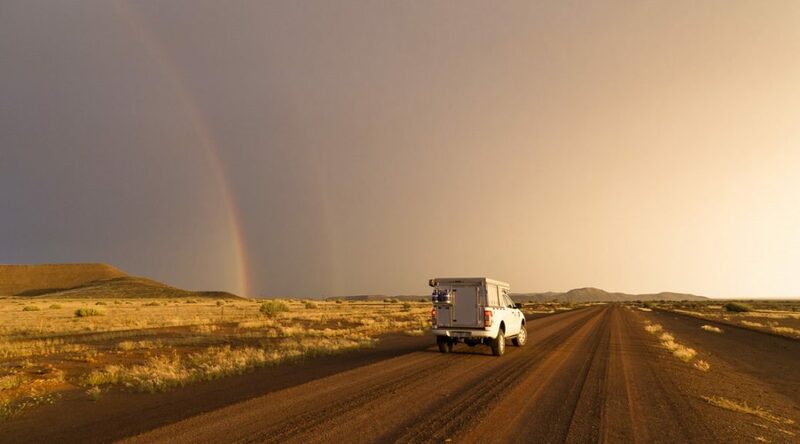 So slow down, take your time and drive these detours to experience southern Namibia at its best. 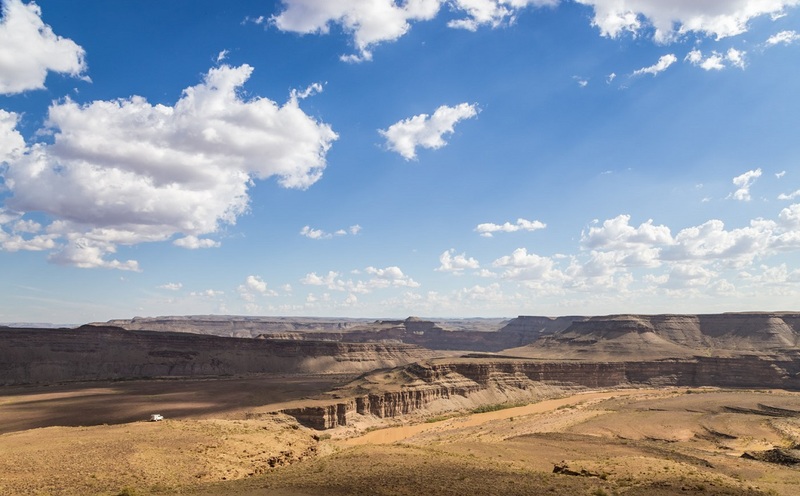 If you’ve never been to the Fish River Canyon, then skip number 2 below, this is your route: from Vioolsdrift to Aussenkehr, then Ai-Ais, Hobas, Goageb and Aus. The usual option is to take the D278 which turns north to Ai-Ais just after Aussenkehr, but if you have some time then drive a few kilometres further – there’s a short but very worthwhile 4×4 track that follows the Gamchab River and re-joins the D278 after passing through an impressive gorge. There are hot springs at Ai-Ais – don’t miss them – but it’s Hobas, the gateway to the Fish River Canyon, that you want to aim for. From Hobas, the road down to the main canyon viewpoint is obvious, but be sure to find the 4×4 track that leads south along the canyon wall. It’s a left turn 2km before the main viewpoint and the track is rocky and bumpy, but the views along the canyon edge are absolutely worth it. If you’ve seen the canyon or just want to try something different, then from Vioolsdrift drive through Aussenkehr and stay on the D212 along the Orange River to Rosh Pinah. To make the most of this route, don’t then follow the tarred C13 all the way to Aus. Instead turn right at Witputs Cattle Post and onto the D463, a barely-driven detour which heads back towards the western edge of the Fish River Canyon before bending north to the tarred B4 (and onwards to Aus). This route has a lot to offer. The river section shows off the stunning Richtersveld mountains, which glow red at dawn and dusk, and there are plenty of places for a swim. It’s the vast open land west of the canyon that those who love a view to themselves will most appreciate. Hundreds of quiver trees line the black stone ridges and the crunch of your tyres will be all there is to hear. The road is bad in places and feels completely deserted. Let’s hope it stays that way. 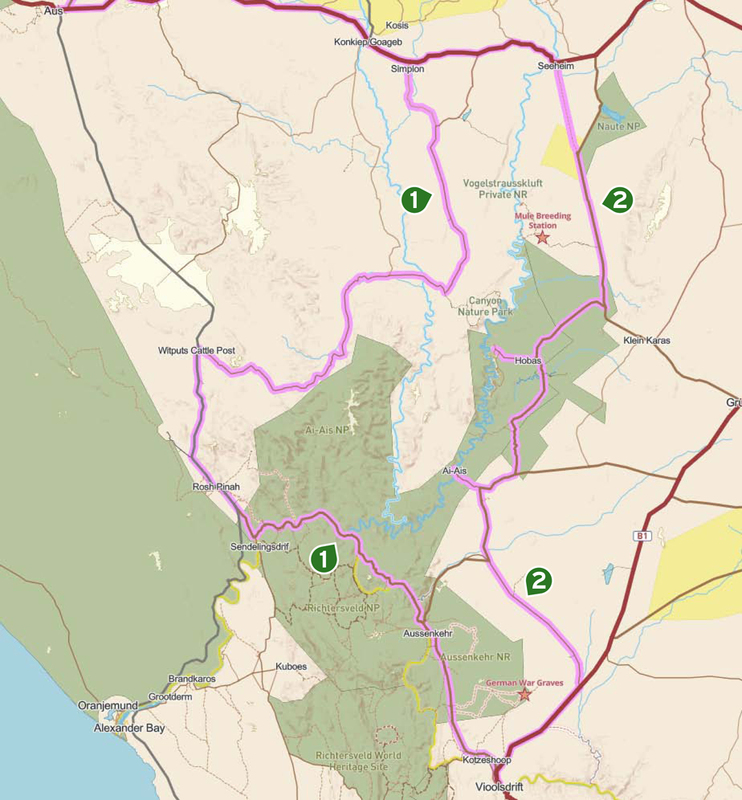 From Aus, the C13 is the main route north, a generally well-maintained dirt road that’ll get you, via the C27, to Sesriem (the entrance to Sossusvlei) in about 5 hours. 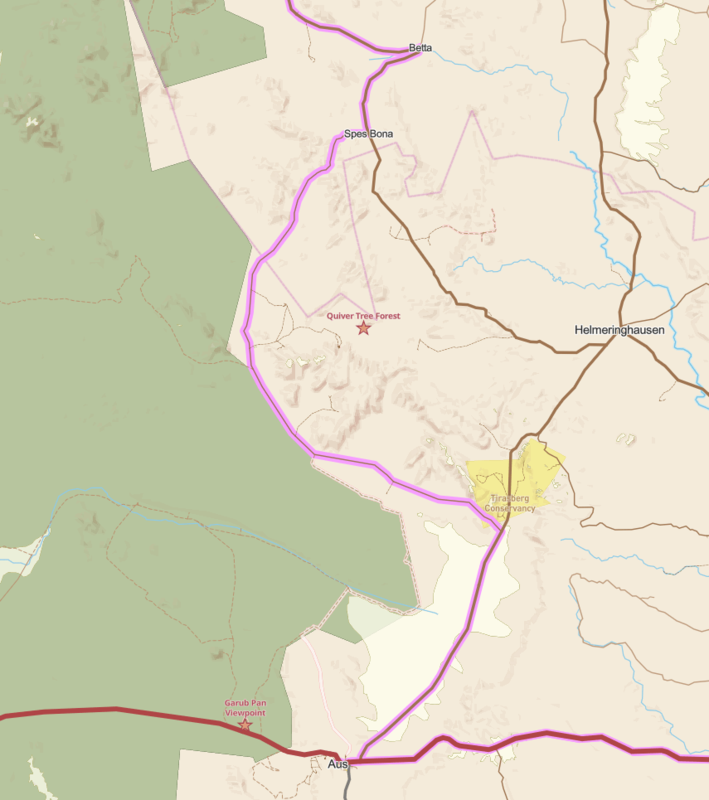 It’s worth breaking this journey up, mostly to enjoy what I think is one of the best roads in Namibia – a westerly detour along the D707, which loops around the Tiras Mountains and rejoins the C27 at Spes Bona Farm. There’s plenty of accommodation around the Tirasberg, but be sure to drive this route as late in the day at you can. 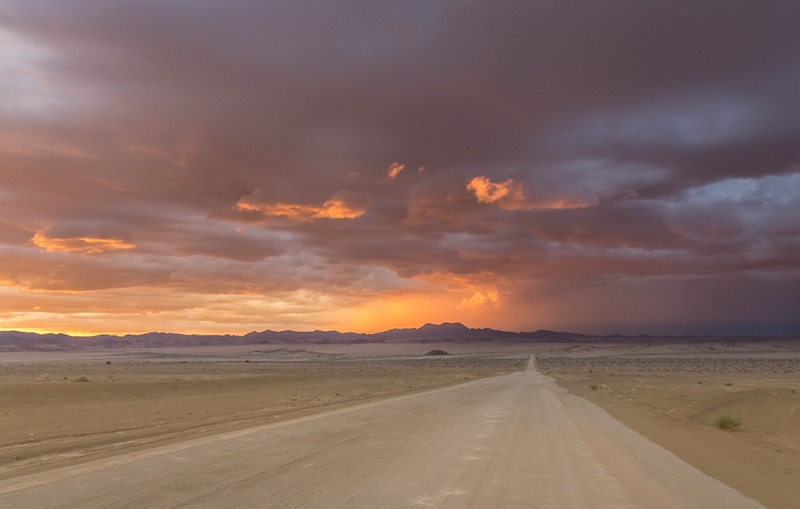 The loop will be your first glimpse of the red Namib dunes, the backdrop to startled gemsbok that throw glowing dust trails into the last rays of light. From Spes Bona, it’s back onto the C27 and then left at Betta Campsite towards NamibRand Nature Reserve. 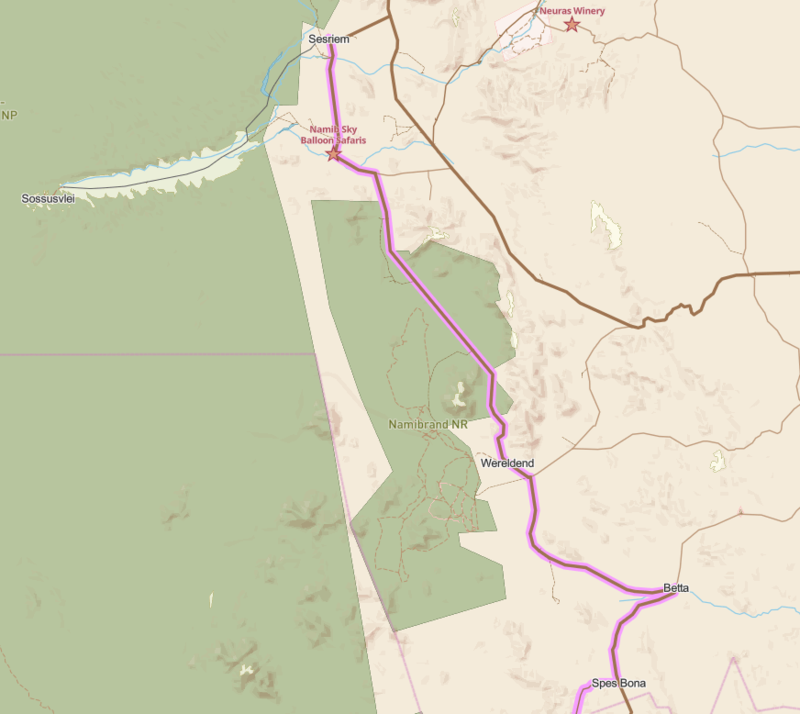 The C27/NamibRand road is the most direct route north, and has the added bonus of cutting through an unfenced reserve. The views are spectacular, especially as you come around Mount Losberg and start the long, straight descent northwest to Sesriem, the Namib’s creeping red sand now filling every gorge and valley. Gemsbok, zebra and springbok are common sightings, and there are giraffe, jackal and hyena around as well. But it’s worth delaying the NamibRand road with a short detour east from Betta Campsite, following the D826 up the escarpment. About 20km from Betta, look left for one of the stranger sights in southern Namibia, Duwisib Castle, built by a German Baron in the early 20th century. From there, the loop up to the D831 and back down the D830 passes through some incredible narrow gorges before rejoining the C27 south of NamibRand. Why not find campsites where you are? 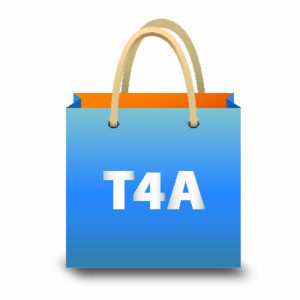 T4A’s Guide App for smartphones will allow you to have access to good quality maps and detailed information about the places you want to visit without the need of an internet connection. Tracks4Africa’s Namibia Self-drive Guide is the essential resource for overlanders travelling through this beautiful country. It’s packed with information on must-see destinations, towns where you can restock and get repairs done, and trip preparations for Namibia. It also lists 899 places to stay with their contact details, facilities and activities. Get yours now and travel Africa informed.